If you want to get your heart rate up fast, then you’ve come to the right place! 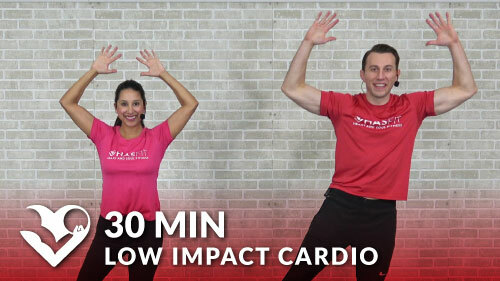 This high intensity cardio workout utilizes full body moves to get you the most efficient and effective workout possible. This 30 minute HIIT workout doesn’t require any equipment, but you may want to grab some water bottles or light hand weights for extra resistance.